Nevermind Eve's wireless, British Pathe's phones have been off the hook! Thousands and thousands of new visitors have been rumagging through British Pathé’s 90,000 digitised newsreels after Tuesday’s brilliant discovery of a mobile phone from 1922. Eve’s Wireless became an online sensation, racking up hits for technology bloggers across the globe. Part of the excitement for us with such a colossal sized film archive, expecially one that has only just been fully launched to the general public, is that nobody knows exactly what’s in there. Not even the archivists! Dozens of newsites and technology blogs rushed to tell their online communities about Eve’s Wireless resulting in a windfall of comments, Facebook wall posts and Tweets across the world. We’re in a bit of a space age mood now, what with all this technology footage whizzing around the internet. 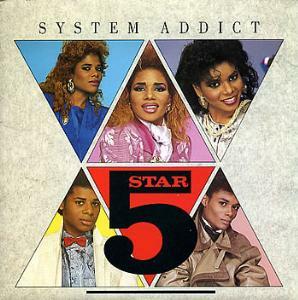 Who else thinks it’s time to play a bit of System Addict by Five Star and have a groove? Just us? Ok. Mobile phones in 1922? But we thought Five Star were the pioneers behind every technological discovery? Do you have a favourite clip in the archive? Perhaps related to you or your hobby? Make sure to tell us on Twitter or on our Facebook group ‘The British Pathe Film Archive’ and we’ll share the clip with our friends and followers. Phone! Radio-phone was the terminology! Go read “The Wireless Boys” or “The Radio Boys” from that era. They often spoke of a Phone, not meaning a telephone! Just because you think of that ‘cell phone’ as a mobile phone does not mean that was always the meaning of the term! I think the film clip is factual for that era, not a fake or portraying the possible future. As for the umbrella antenna, did you check to see how long that spiral wire really was? Have you ever played around with a crystal set? Maybe not the best antenna, but it should still work. Pingback: Tech Time Warp of the Week: How They Did Mobile Phones in the 1920s | Mobile Phones Information Blog - Free Tips and Resources on How TO!!! Pingback: Was this the world's first mobile phone?